Includes 100' "New" Kink Resistant Cord. 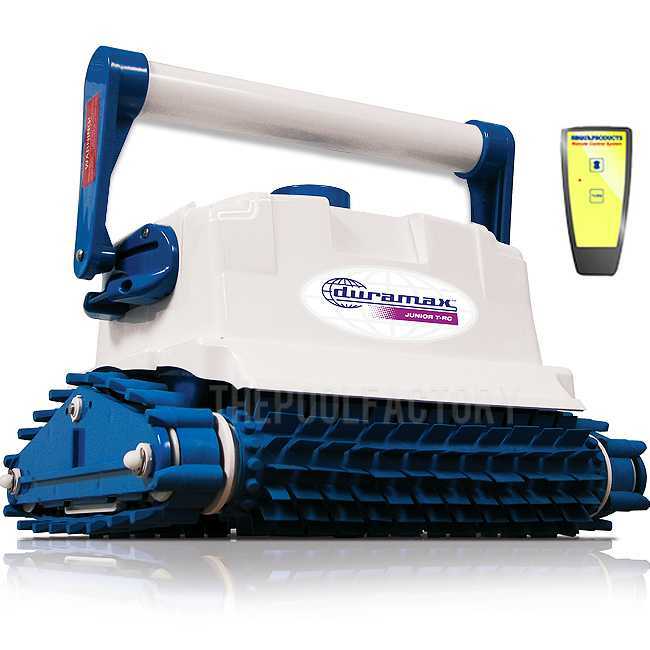 The DuraMax Junior T-RC Commercial Robotic Cleaner is designed to handle any type of swimming pool up to 60' in length. The DuraMax Junior removes particles smaller than most primary pool filter systems. The result is a visible cleaner pool. DuraMax Junior scrubs, cleans walls, waterline and most stairs while other cleaners can't. The DuraMax Junior includes a 3-way precision remote (Forward / Backwards / Turn) control for guidance. Equipped with an adjustable 7-hour timer for customized cleanings and can operate with auto-controller systems. The DuraMax modular components and heavy duty drive system provides extended service and dependable performance. All Aqua Products cleaners are backed by a national network of service centers. The DuraMax Junior gives you clean, microfiltered water and reduces chemical consumption and energy costs.It will cut your maintenance costs in half. 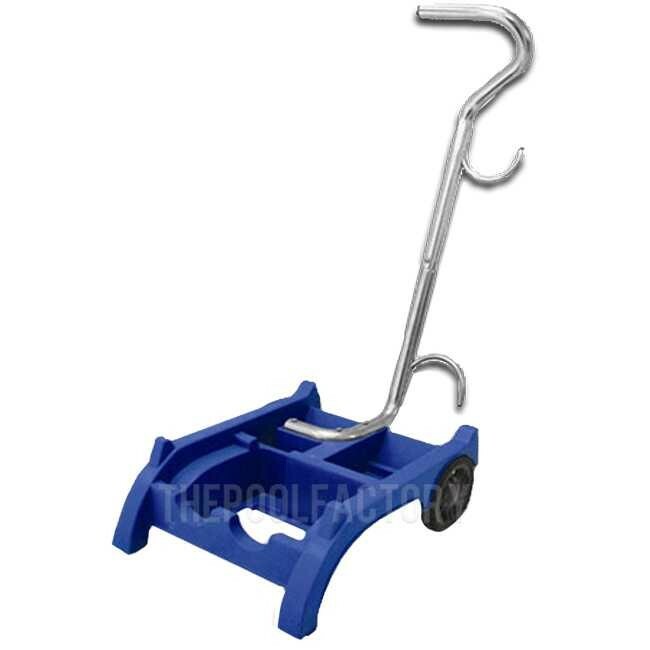 Aqua Products is an American born, American based company that revolutionized the U.S. pool cleaning industry by introducing the first robotic pool cleaner in 1982. Aquabot, the flagship brand, was built with the sole mission for making our consumers' pool experience more enjoyable. For over thirty years we have consistently found new and innovative ways to help keep pools both cleaner and healthier.